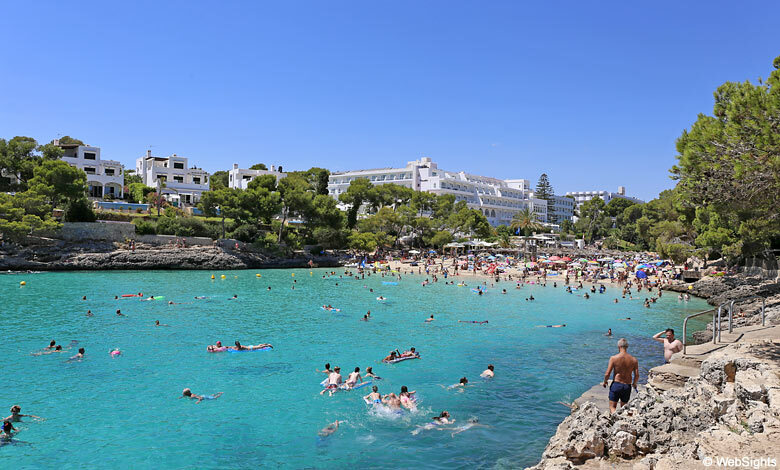 Cala d’Or means ‘the golden bay’ – and that is truly correct when it comes to Cala d’Or on the east coast of Mallorca. All of them are small but fantastic beaches located deep within small coves. The sand is fine and the water crystal clear. The beaches can be very crowded during the summer. The beaches are very child friendly. However, the space for playing on the beaches can be very limited during July and August. It is possible to rent pedal boats at Cala Gran and Cala Ferrera. Rent of windsurfing equipment nearby at Cala Esmeralda. Diving from Cala Ferrera. Very good snorkeling conditions along the cliffs. Crystal clear water and lots of colourful fish! Restaurants at Cala Ferrera. Beach bars at Cala d’Or and Cala Gran. 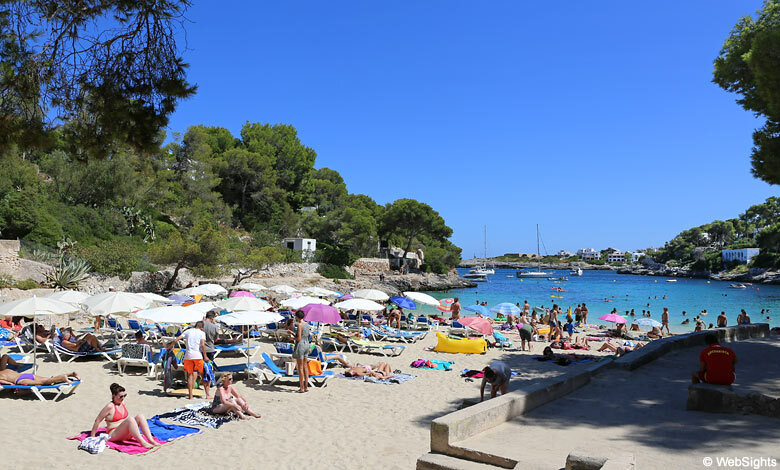 Cala d’Or is popular, picturesque resort with white low-rise buildings, also known as Ibiza style architecture. 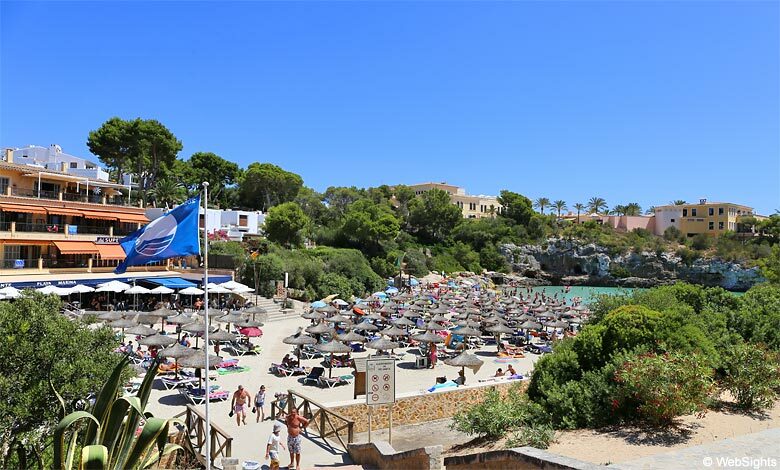 Cala d’Or is generally a quiet resort, perfect for those looking for a relaxing holiday with or without children. The resort offers a wide range of excellent restaurants and boutiques in the beautiful city centre. The three-star Prinsotel Alba offers very good value for money. It is situated only 100m from Cala Gran and has free Wi-Fi. The five beaches of Cala d’Or. 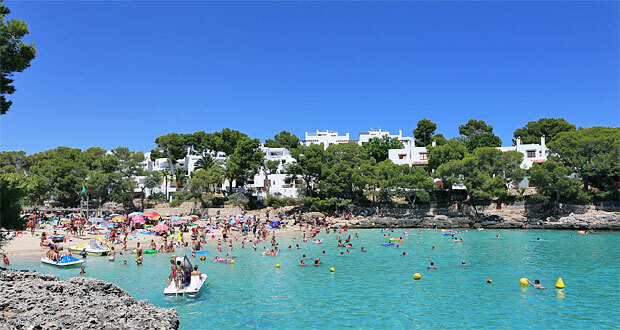 Cala d’Or is at the same time the name of the resort and the name of one of the five beaches. 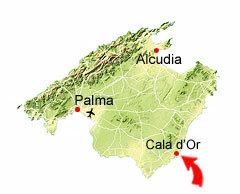 Starting from the southwest on the map the beaches are Cala d’Or, Cala Gran, Cala Esmeralda, Cala Ferrera og Cala Serena.